If you would like a child christened (or “baptised”) at St Andrew’s, and you live in our Parish, we will make you very welcome. Contact us by phone or email, or come to the church on a Sunday morning. Our main service takes place at 10am every Sunday OR, pop in on a Friday morning (9.30-12) when the church is always open, and the vicar or another minister will be happy to make a booking for you. We hold christening services every Sunday at 12pm. 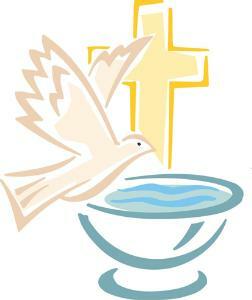 Each baptism service is individual – so there won’t be other children being christened on the same occasion as yours. The service is friendly and informal, and we will talk you through the service beforehand so that you know where to sit and stand and so on – so that when it comes to the day, you can enjoy the service to its full. 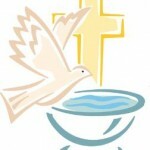 Every child baptised is invited to come back to church (with mum and dad of course!) at the All Age service following their baptism where we welcome them with the whole church community and give a gift from the church to them in memory of their baptism. Q. How long will the service last, and how much will it cost ? A. Our 12pm service lasts about 30-40 minutes. Please arrive about 15 minutes before the start of the service. We make absolutely no charge for baptism. Of course we would welcome your donation to help the work of the church community, but there is naturally no obligation ! A. No. This service is just for you and your family to be welcomed into the church. A. We have modern facilities including a toilet, good heating and lighting, and we have a children’s play corner for when the little ones get restless. St Andrew’s is a lovely intimate church which can feel full with only a small number of guests but can accommodate 100 guests comfortably and we’ve held services with a lot more! We also have our church room which can be made available for any family gatherings afterwards!